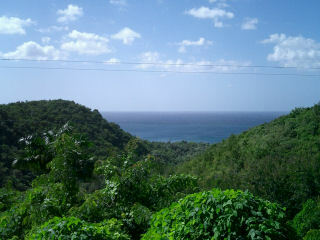 Beautiful hill top property located on Road 413, Rincon. It is a fully restored property that offers Rincon's beach most amazing view and exquisite accommodations in 4 private suites. Accommodations include living, dining and bath rooms, small refrigerator, modern furniture and art work through out, cable TV, A/C in bedrooms, stereo, off street parking and roof top terrace with amazing view. Suites @ 413 offers easy access to bakeries, restaurants and beach. 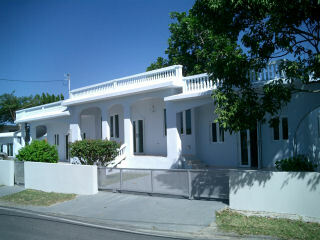 This newly renovated hill top property is located just a short drive from Rincon beaches including Rincon surf spots. Most Rincon beaches are suitable for swimming and snorkelling, others are excellent for surfing. You can also coordinate with the local dive shops to go diving. Come to Rincon, stay at Suites @ 413 and enjoy the beautiful sunsets from your terrace, enjoy our beaches, try some of our typical food and relax. Horse back riding, surfing, snorkelling or diving in our beautiful caribbean waters like you'll only do it in Rincon.